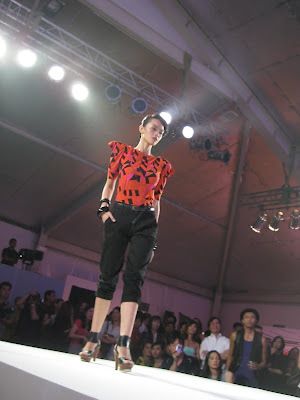 that's kate torralba for paper dolls, a mass-market brand that's been around forever. but this is the first time they did a collaboration with an established designer. and who doesn't love KT?? the fash pack met the attractive, young couple who owns paper dolls—they love fashion and it shows, they're both so chic! 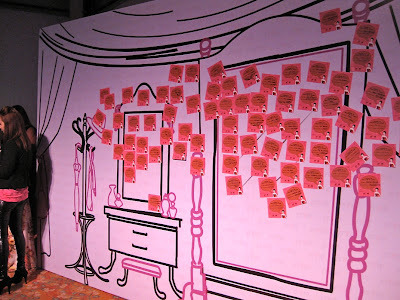 as guests entered rockwell tent, they could have their picture taken at a trompe l'oeil glam sala set. 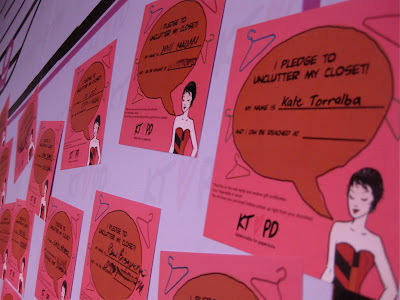 guests were also encouraged to pledge clothing donations for calamity victims. and in exchange you get a 100-peso GC from paper dolls—nice exchange! now for the collection! 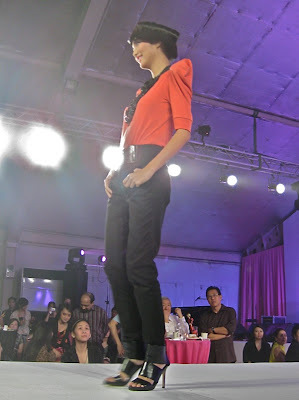 KT's muses tessa valdes, divine lee, karen pamintuan, and the magalona sisters wore outfits with wide bands of color. kinda reminds us of another kate—as in spade! and peaked shoulders! an important trend to watch for in 2010! 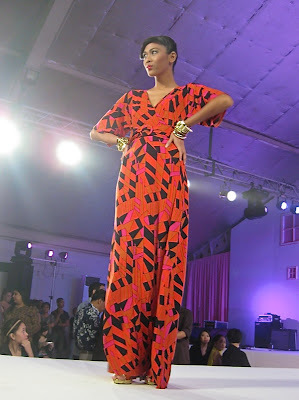 kate torralba collection for paper dolls available at select SM department stores starting nov 15.